The first DC Bombshells Deluxe Statue is here! 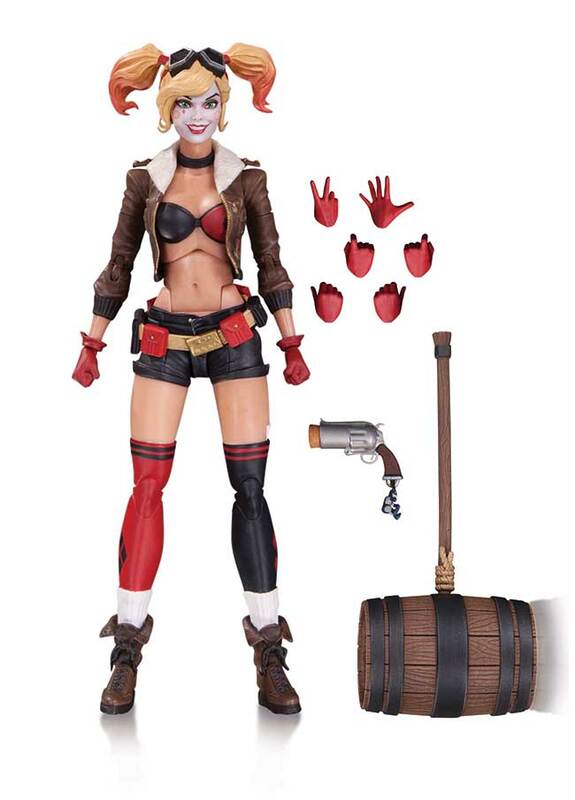 Harley Quinn drops through the clouds in this extraordinary new statue that displays her original, full-concept Bombshells depiction. Set a course for collectibles! 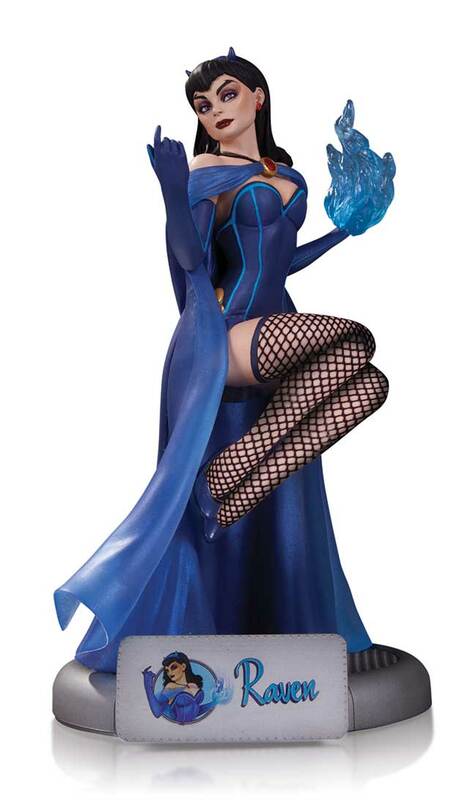 The new DC BOMBSHELLS AQUAMAN leads the way as the first-ever solo male Bombshells statue. 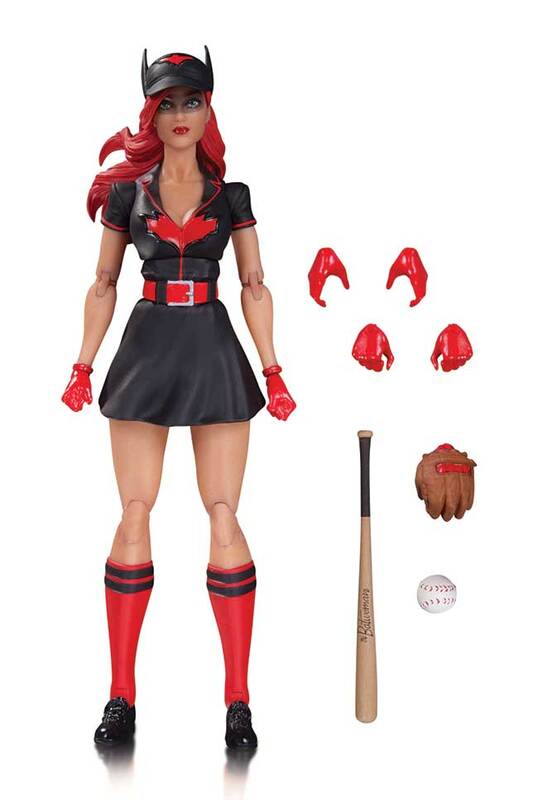 Based on the popular DC Collectibles statue line designed by Ant Lucia, DC Bombshells makes its way to a new line of action figures with this highly anticipated first wave featuring Batwoman, Harley Quinn, Poison Ivy and Wonder Woman. Each figure includes character-specific accessories. Raven, the most mysterious member of the Teen Titans, is reimagined in this new Bombshells statue-and she's ready to cast her next spell. Retailers: This item is resolicited. All previous orders are canceled. 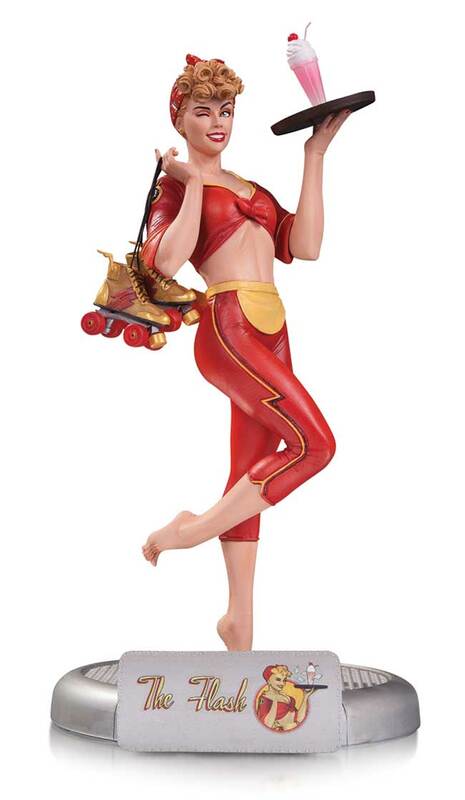 Serving you up a tray full of awesome is this new DC Bombshells statue! Super-speedster Jesse Quick makes her debut in the line with this ultra-detailed statue from DC Collectibles. 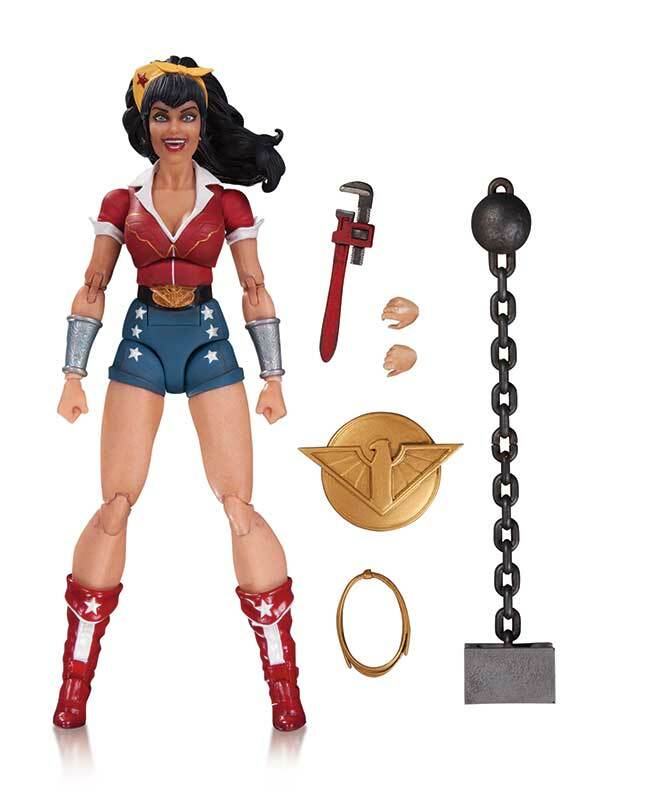 Katana, one of the Suicide Squad's most fascinating heroes, is reimagined in this fantastically detailed new Bombshells statue. Attired in a stylized, fanciful costume, this 1:8 scale statue stands ready to take on any foe who dares to cross her path. 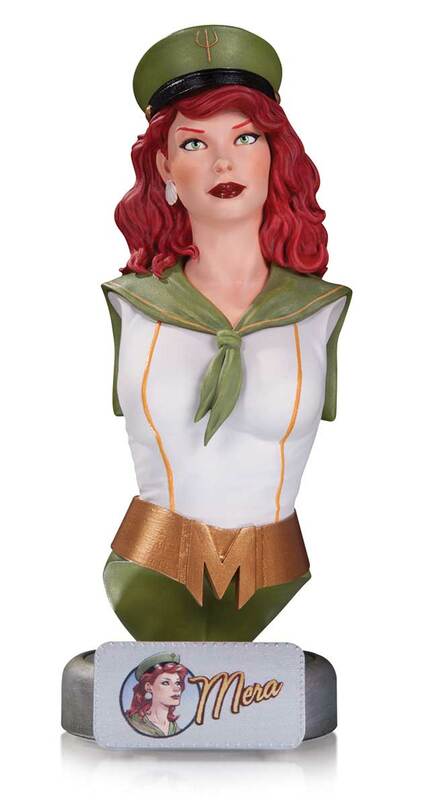 The Queen of Atlantis is reimagined with an appropriate nautical theme in the latest DC COMICS BOMBSHELLS bust! 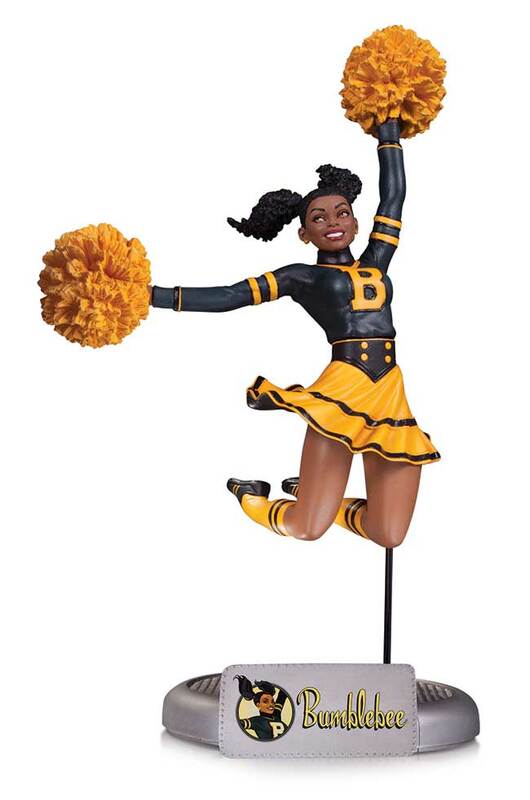 Three cheers for latest in the popular DC Comics Bombshells statue series, featuring Bumblebee, hero of the Teen Titans! Raven, the most mysterious member of the Teen Titans, is reimagined in this new Bombshells statue - and she's ready to cast her next spell. 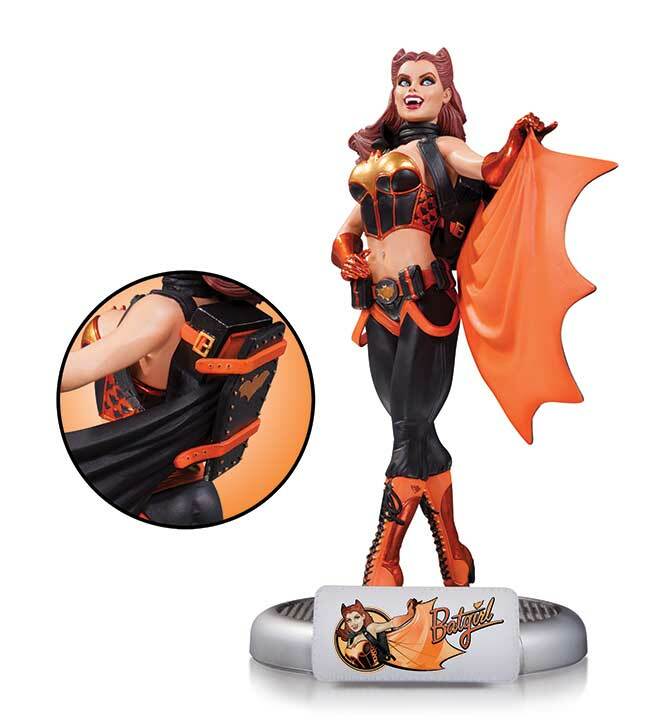 Calling all ghouls and goblins - Batgirl is here in this new Bombshells statue, and she's a real treat!